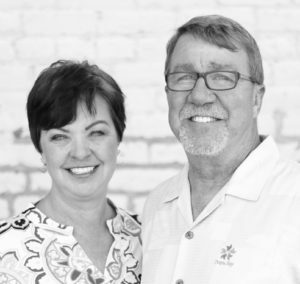 As a fifth-generation Idahoan, being born and raised in Boise and graduating from Boise State University, I combine my love for Idaho and my passion for real estate to provide you with an outstanding home buying and selling experience. I bring a great deal of honesty and integrity to the Idaho real estate market. I will give you all the information relevant to your transaction with perfect clarity so that you can make the best decision possible when buying or selling your home. Taking the time to understand the needs of my clients has always been the key to my success. I began my real estate career in Nevada in 2003 and become very active in the real estate community as a board member at the local, state and national levels. This, and working with clients coming in from all over the country, provided me with the experience of giving my clients a smooth relocation process. Whether you are moving across town, across the state or across the country, my knowledge of the local market and my contacts in the community, make me the Realtor of choice. I began my real estate career in Nevada in 2001 as a salesman and in 2003 became a licensed property manager. My focus was new home sales and commercial leasing. I have always been very involved with property rights and served on the Greater Las Vegas Association of Realtors Government Affairs Committee and three years as a member of BORPAC. In October 2009 I was awarded the GLVAR Realtor of the Month. In Idaho, my focus is residential housing. To me it’s the most enjoyable and most rewarding type of real estate business. In my spare time, I write songs and play my guitar(s), garden and love spending time with the grandkids.